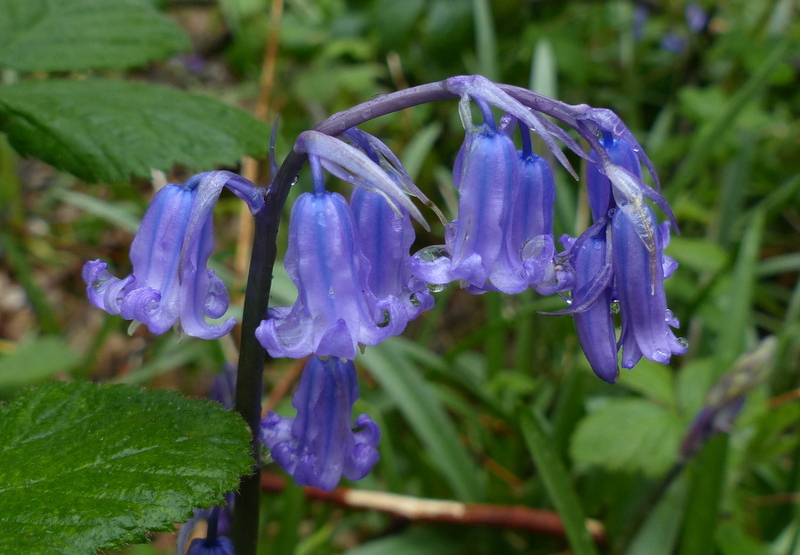 As spring flowers go the Bluebell is a bit of a late starter. 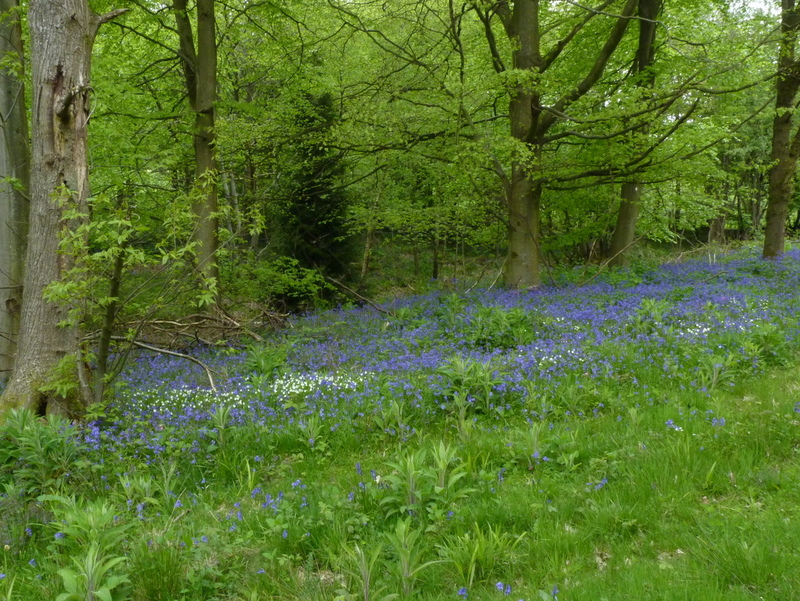 They begin to appear around mid April and by that time everything is in flower. 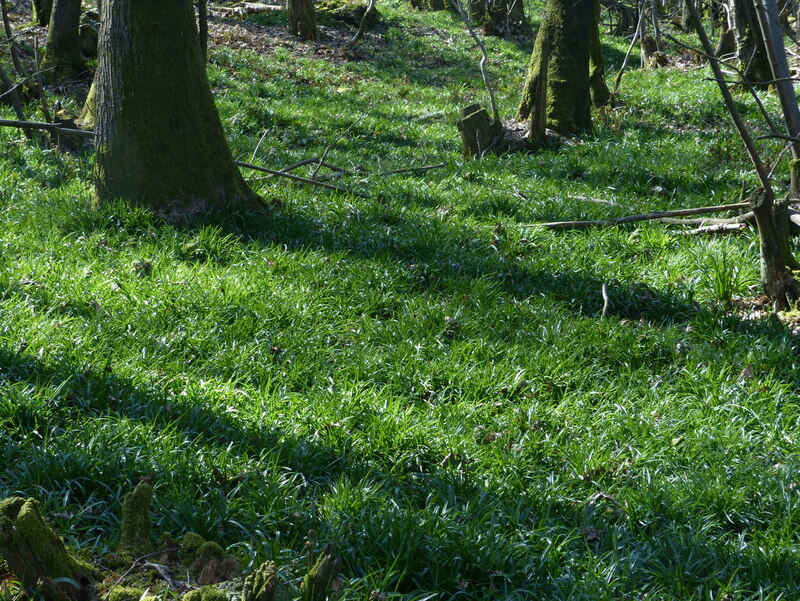 Primroses, Lesser Celandine and the Wood Anemones have all but gone. 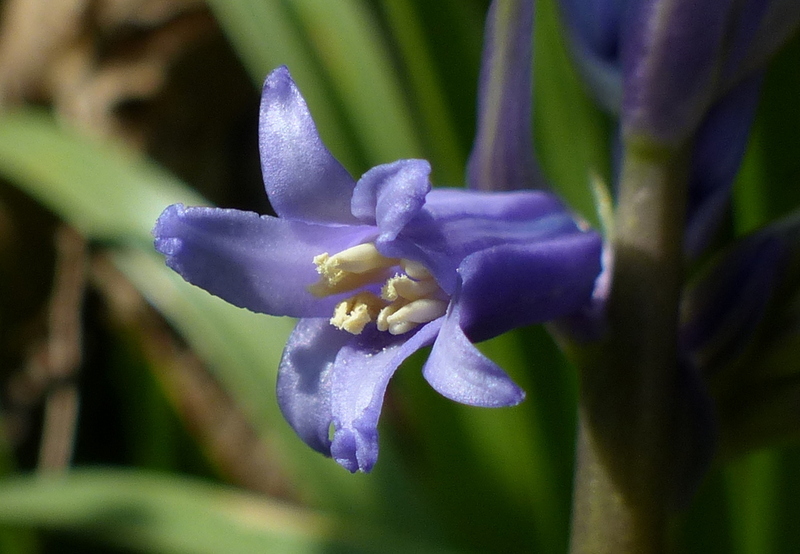 The Snowdrop and Crocus are a distant memory and many of the summer flowers are in full bloom. 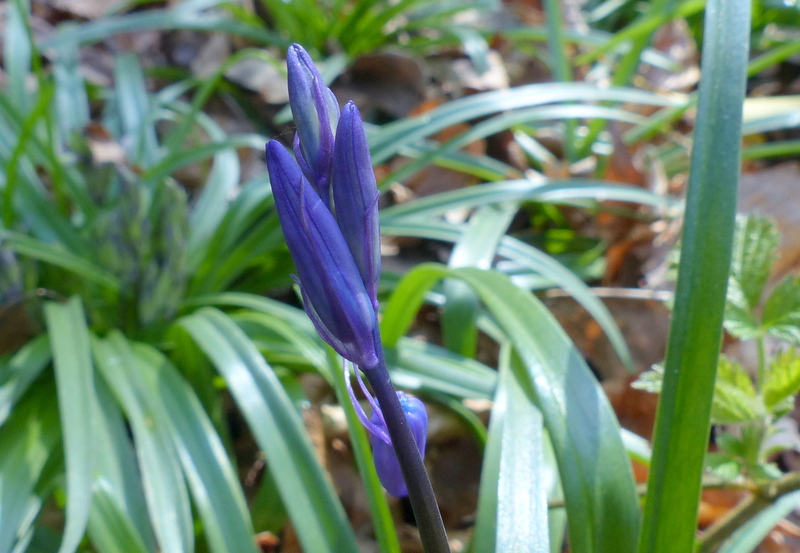 My first Bluebell of 2014, this picture was taken on the 13th. of April. 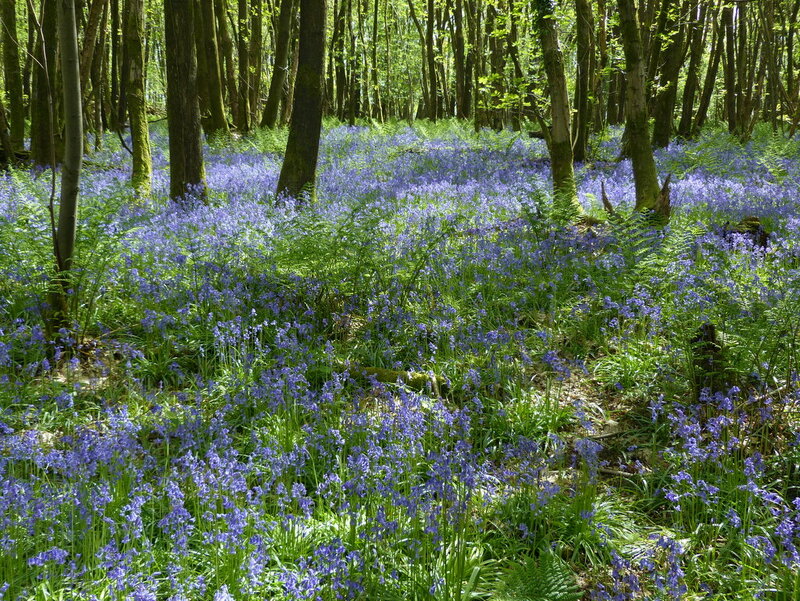 Still Bluebells herald in the new year for me. 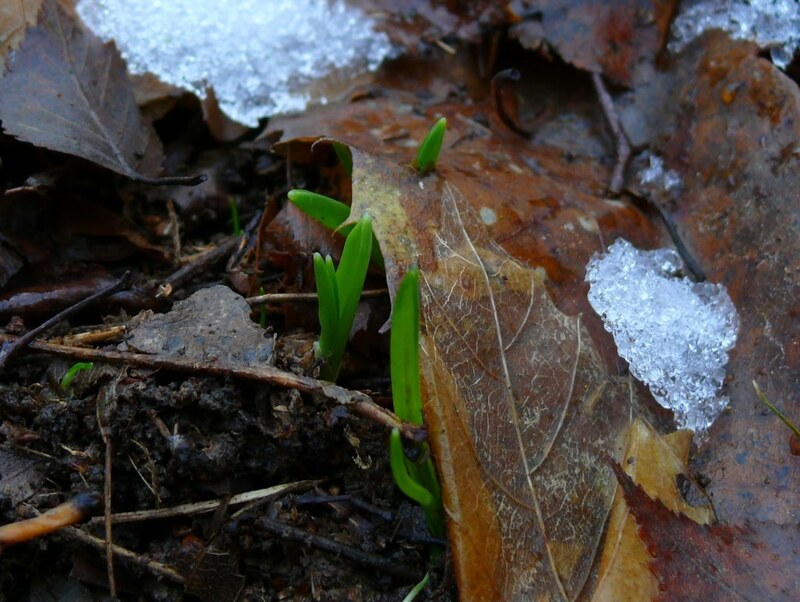 They are one of the first plants that I see as their tiny shoots break through the leaf litter. 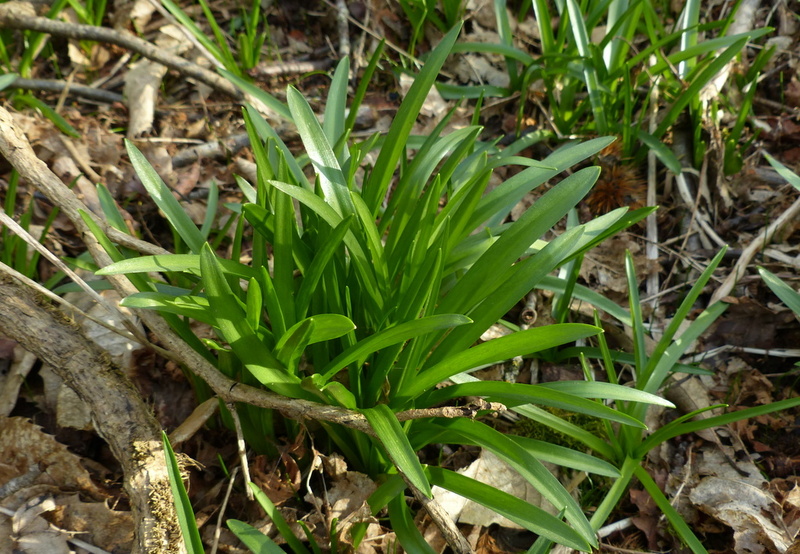 We are still a long way from the warm scented woodlands of April and May but it has begun and it always makes me feel good to see the shoots. 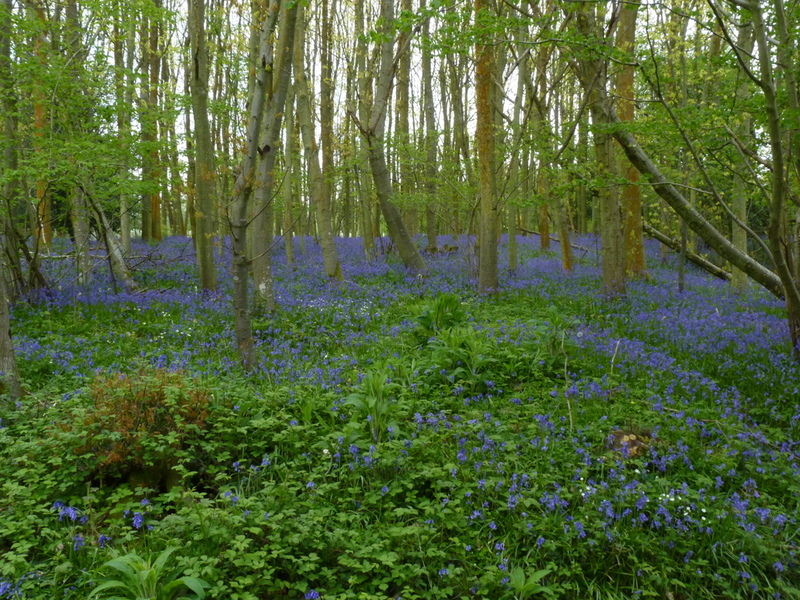 What happens next takes a little bit of time but there are lots of other flowers to look at, the Bluebells signal the start of it. 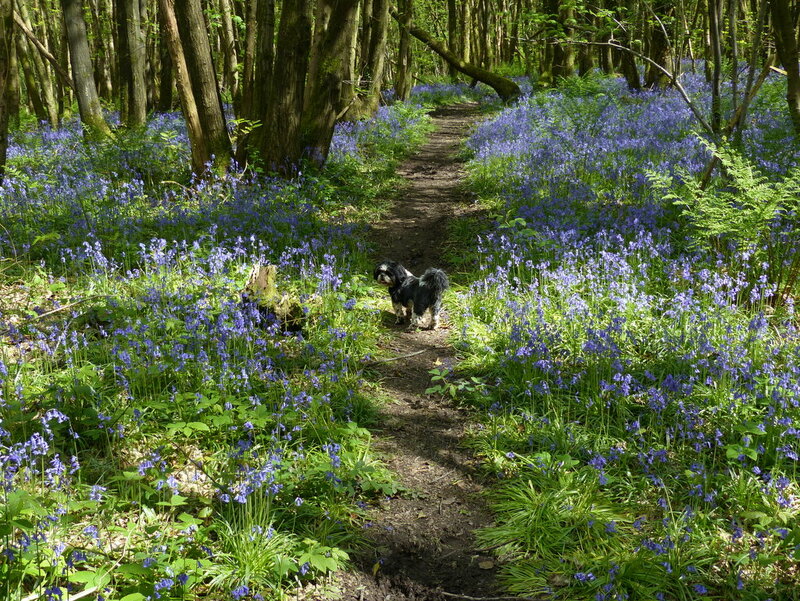 There is an absolute magic in a Bluebell woodland in springtime. 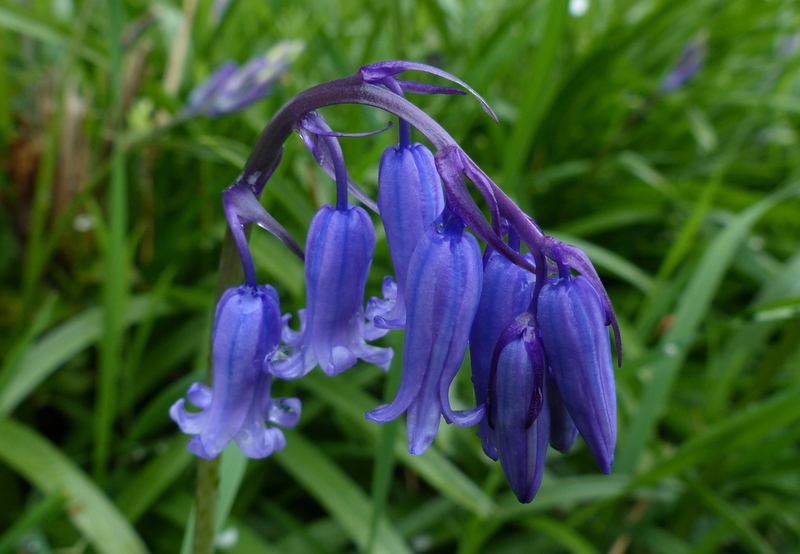 The colour is subtle, it isn’t gaudy, it fits and the scent hangs heavy on a dewy morning. 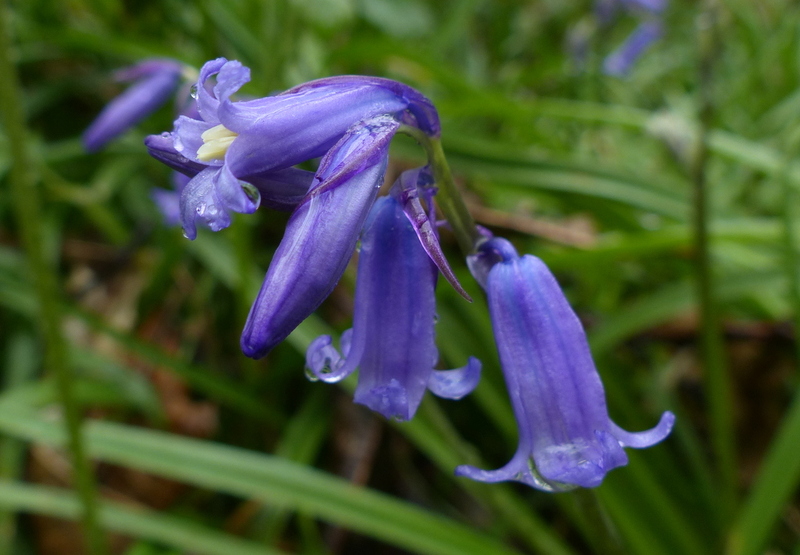 Hyacinthoides non-scripta is deeply scented, it is lovely to walk in a Bluebell wood but our woodlands are under threat. About half of all of the worlds Hyacithoides non-scripta are here in the UK. 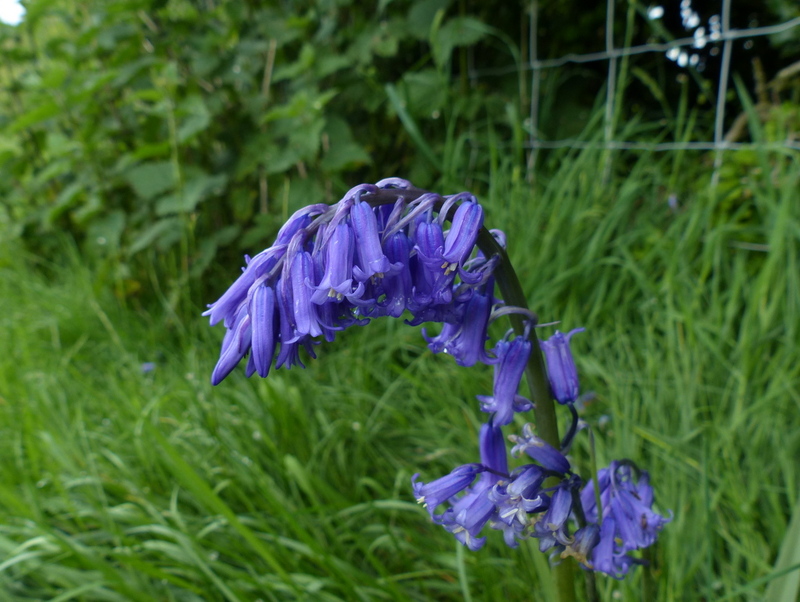 It is essentially a British flower and so we have a responsibility to preserve it. 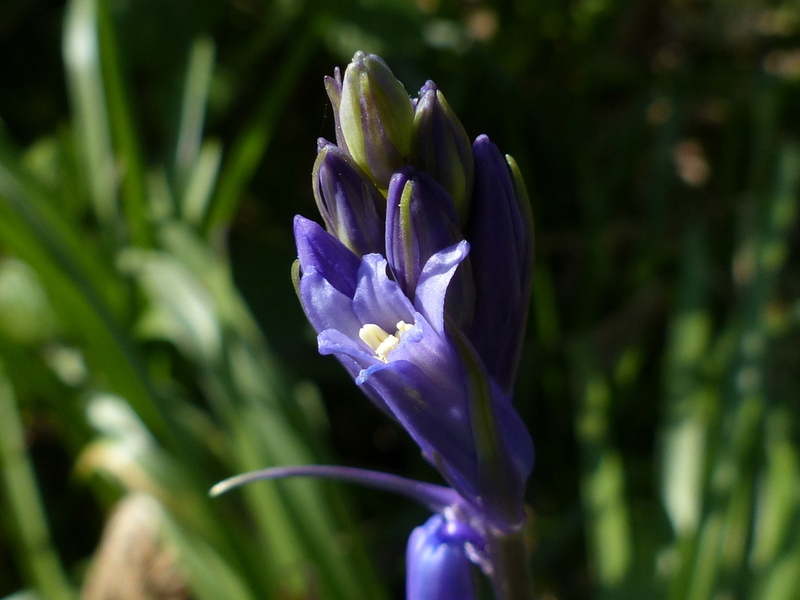 The problem is the Spanish Bluebell, Hyacinthoides hispanica. 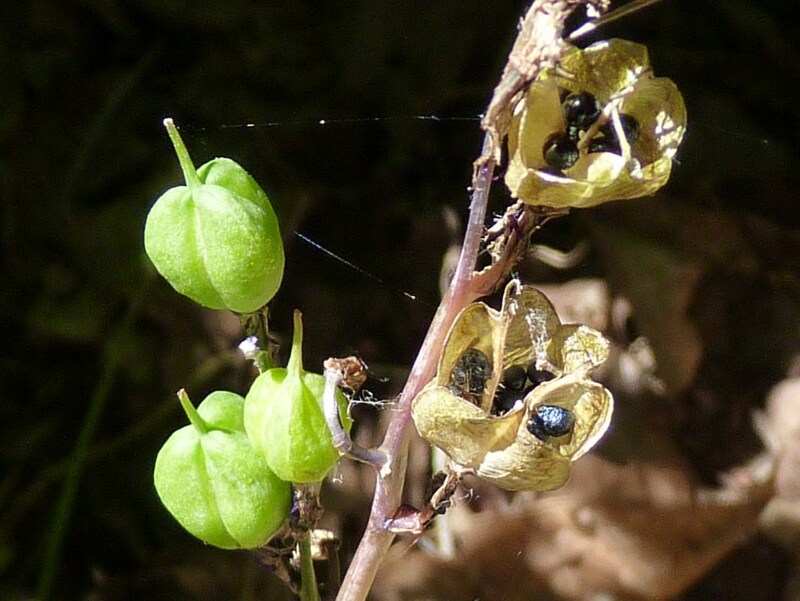 The two species have been isolated for about 8000 years but in the last 200 years gardeners have been introducing the Spanish variant and seriously, we are in danger of losing our flowers. 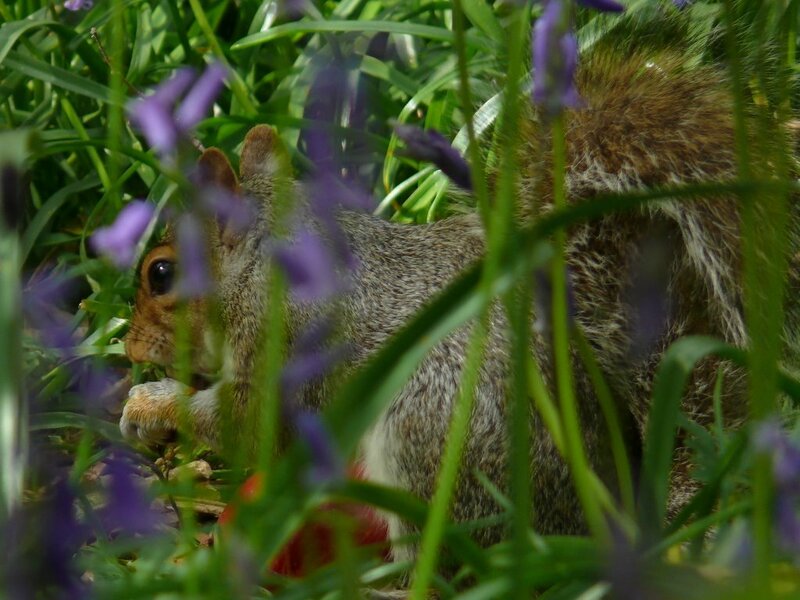 Usually when we talk about the threat of an invasive species we are talking about them encroaching on habitat and crowding our own species out. 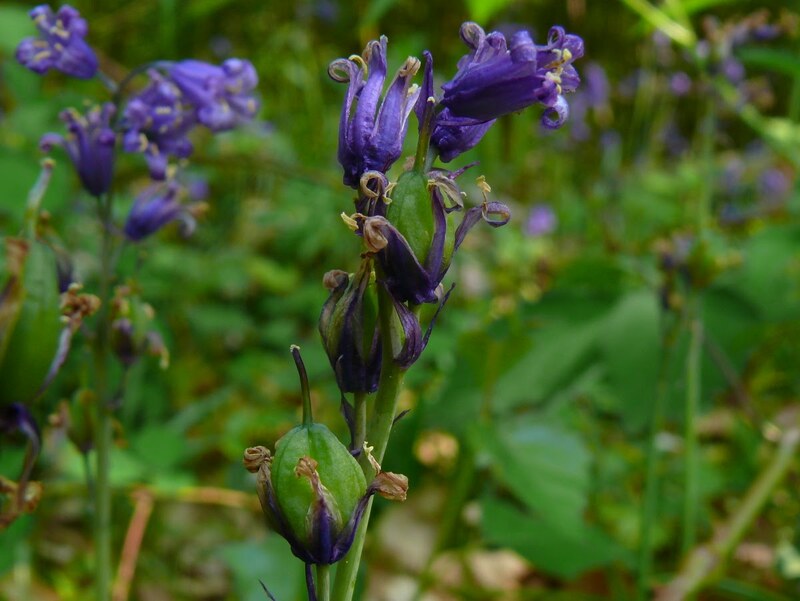 The threat posed by the Spanish Bluebell is different, It can pollinate native Bluebells to produce a very different hybrid species which can go on to pollinate more flowers. Once hybrids get into the woods the process is irreversible. 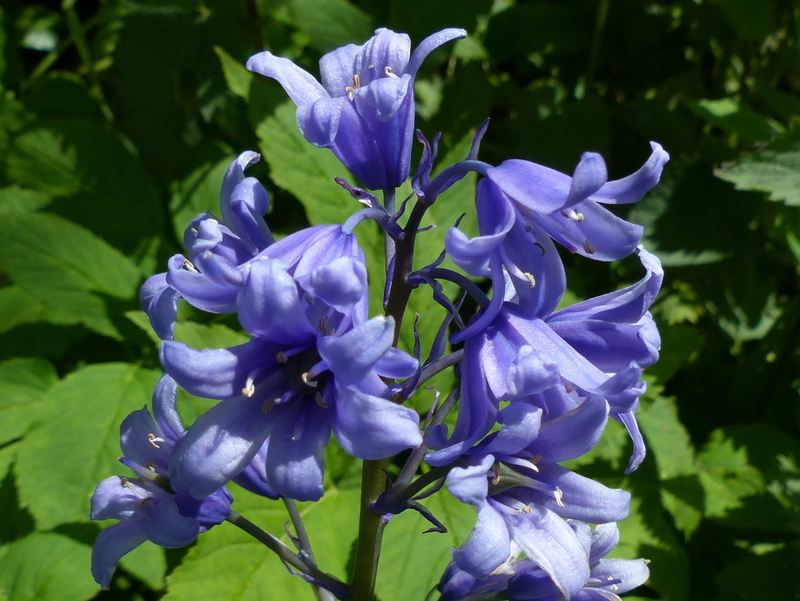 The Native Bluebell will hybridise with the Spanish Bluebell and the result is a hybrid called Hyacinthoides massartiana. 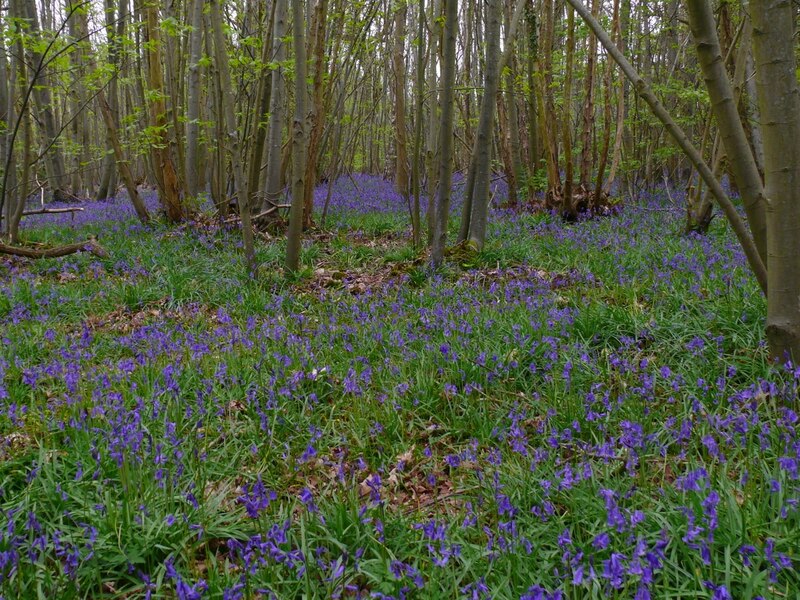 The Hybrid is fertile and more hardy than the Native Bluebell and it is less fussy about it’s habitat. 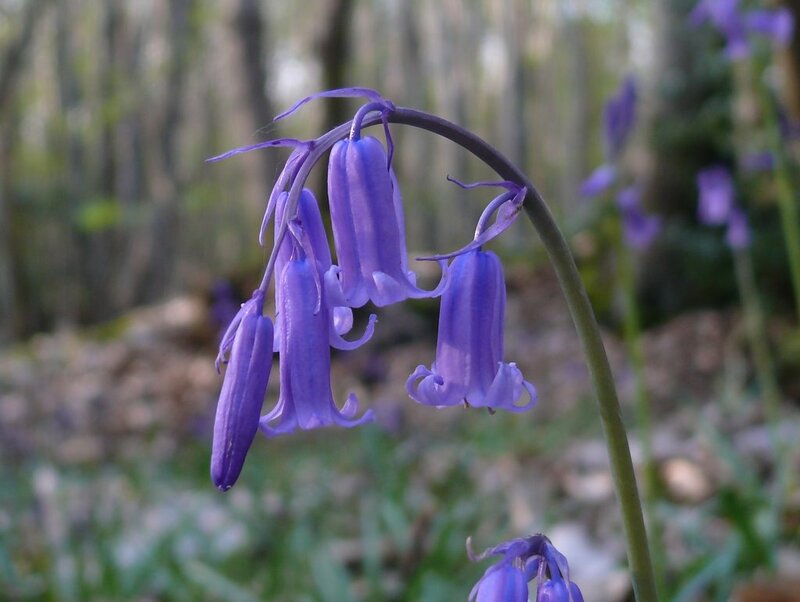 The hybrid is now much more common than genuine Spanish Bluebells but it shares many of the characteristics and it is very hard to impossible to positively separate the species and sometimes requires DNA analysis. This is either Spanish or possibly a hybrid. 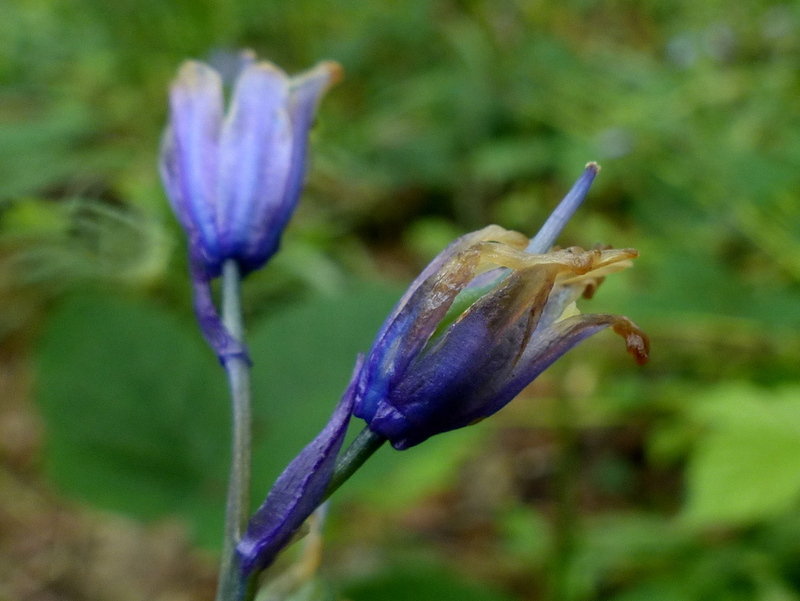 The Hybrid shares characteristics with both parents but the characteristics from the Spanish side include a strong stem, so that the flowers are held upright and do not droop to one side, an open bell shaped flower and blue to green pollen, (once the pollen is spent the anthers will appear white). 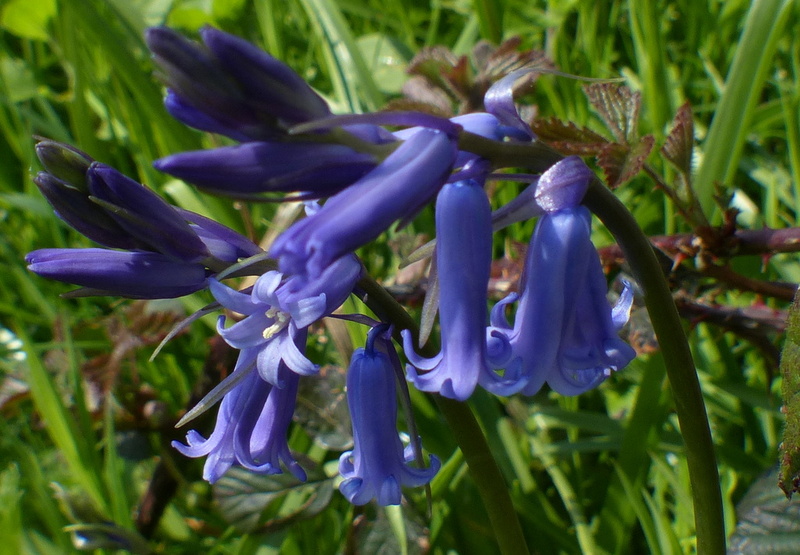 The leaves are broader than the native Bluebell and the Spanish Bluebell is unscented and Hybrids have a very weak scent. 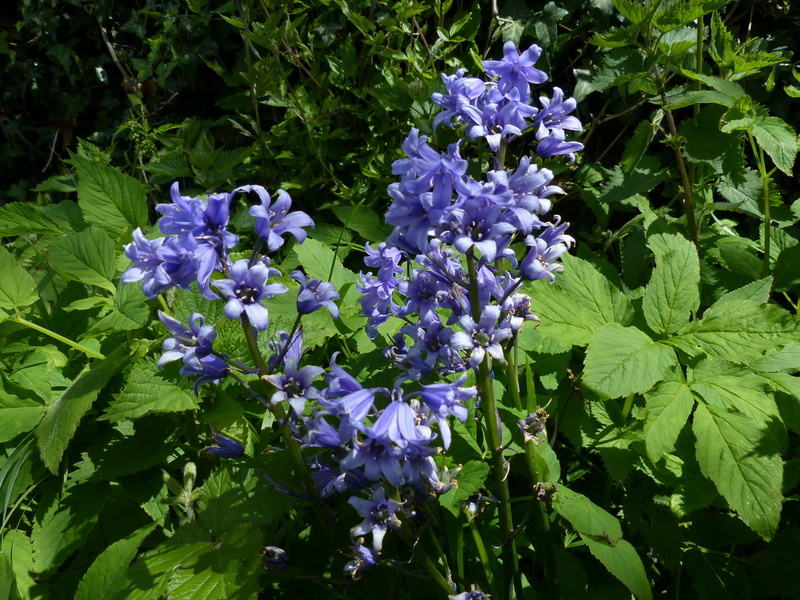 Hybrids can also look a lot like native Bluebells. 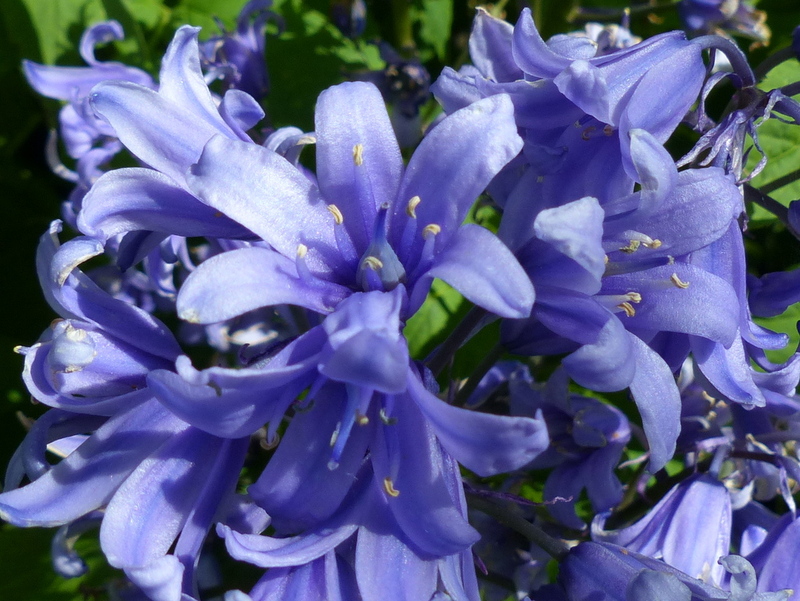 Please Note: The majority of Hyacinthoides non-sripta bulbs that are offered for sale are actually hybrids. 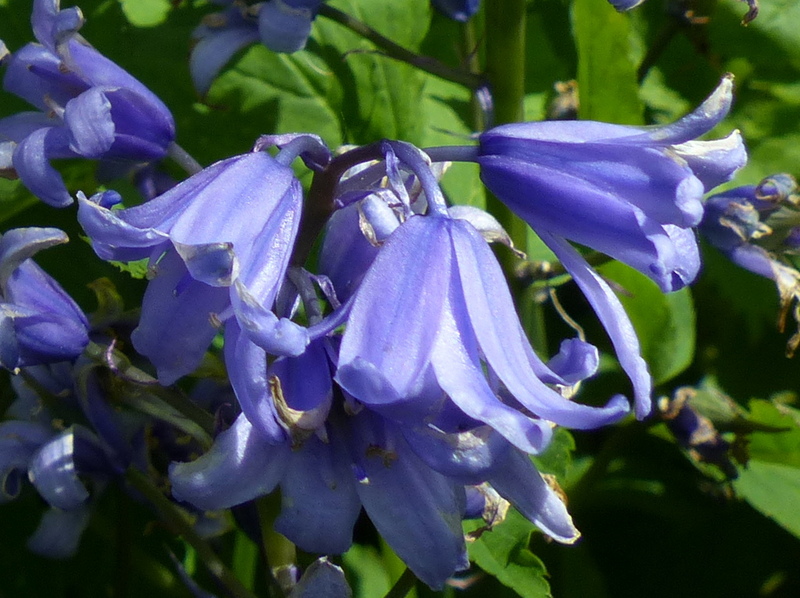 You need a license to trade in Bluebell bulbs and there are very few licensed growers. The Guardian, Digging the Blues. 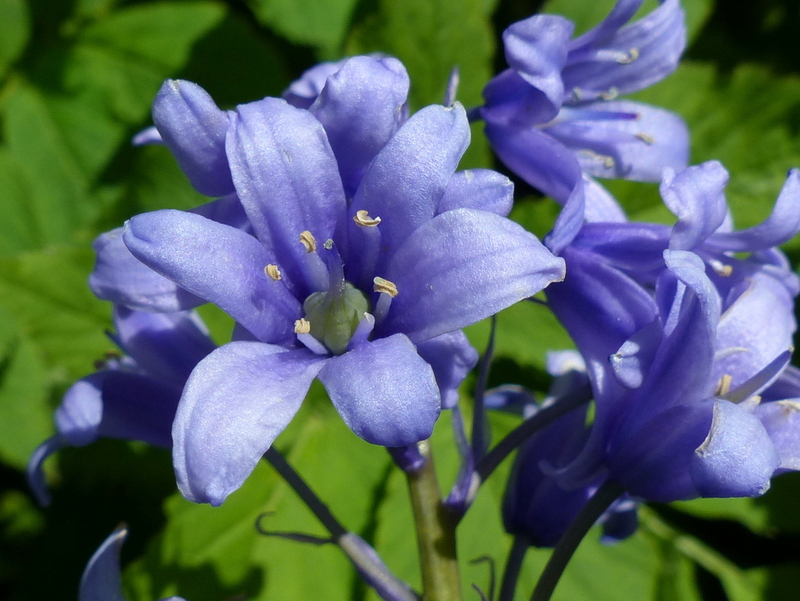 If you want to buy native Bluebell bulbs then be sure to buy them from a name that you can trust. The licensed grower mentioned in the Guardian article above doesn’t sell to the public. I would trust The Royal Horticultural Society rather than my local market trader although he is a very nice man and I would certainly buy my Petunias from him and pretty much everything else. 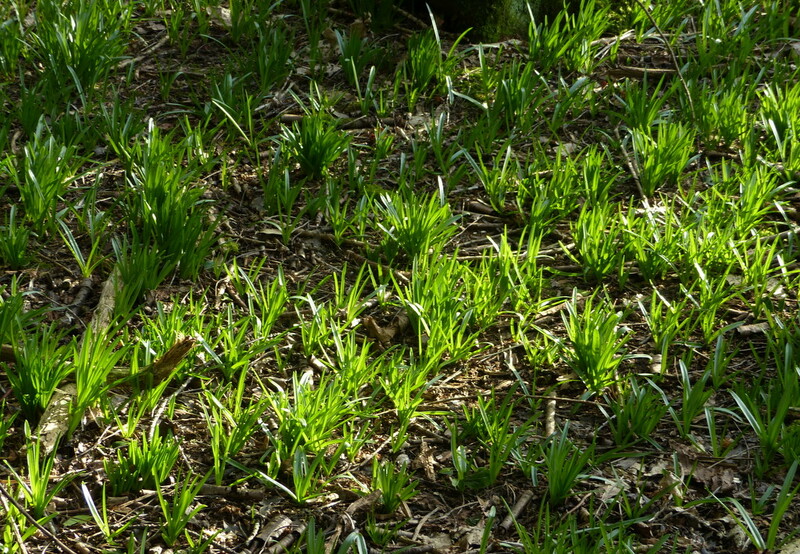 There is no reason to ever plant shop bought bulbs in the wild. 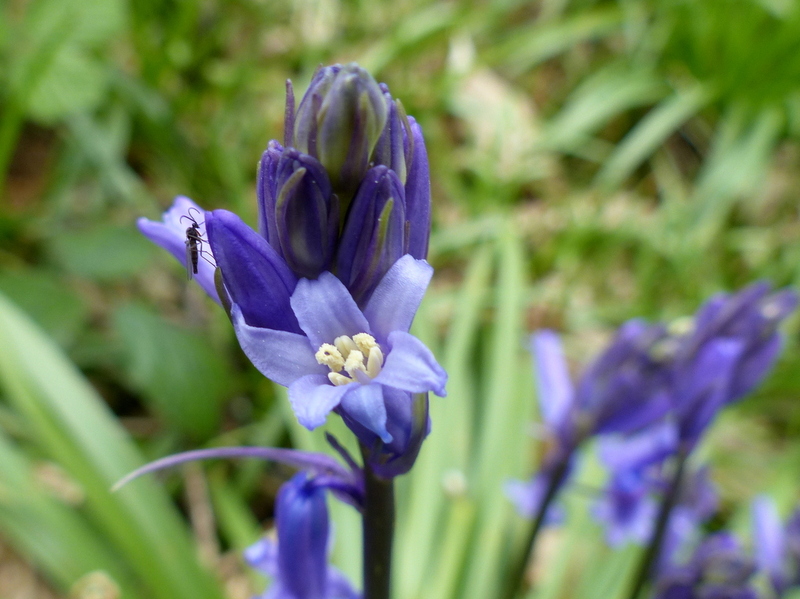 The easiest way to identify a native Bluebell is to look at the anthers of newly opened flowers. The pollen will be creamy white. 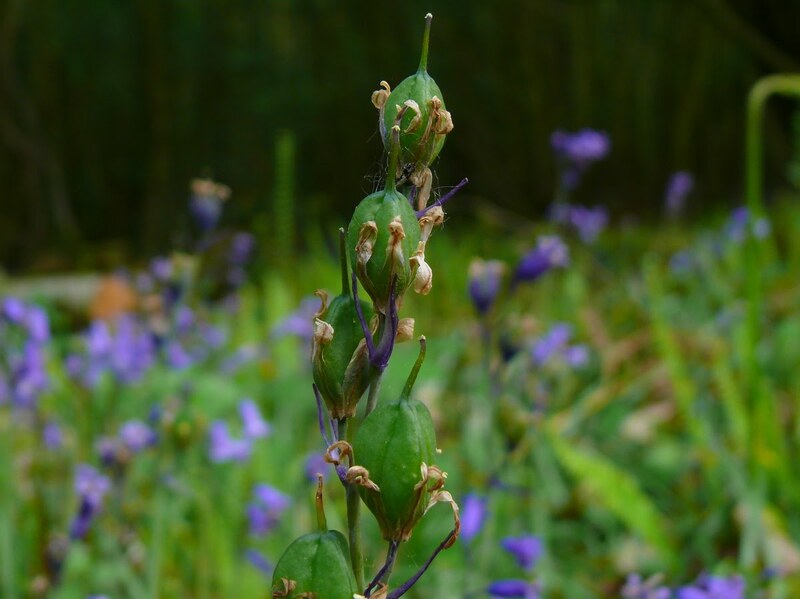 It is important to look at new flowers, those at the top of the flower spike, as once the pollen is spent they all have white anthers. 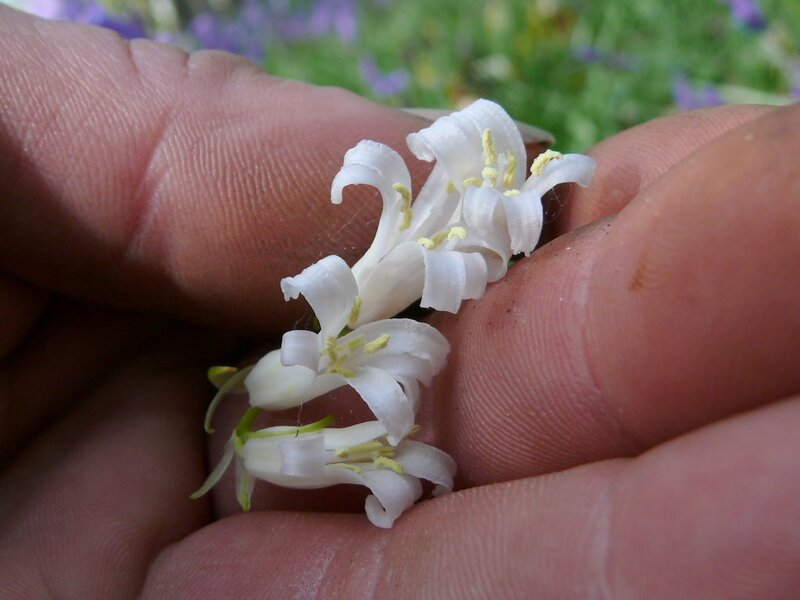 If the pollen is white then it is native, if the pollen is any other colour then it definitely is not native. 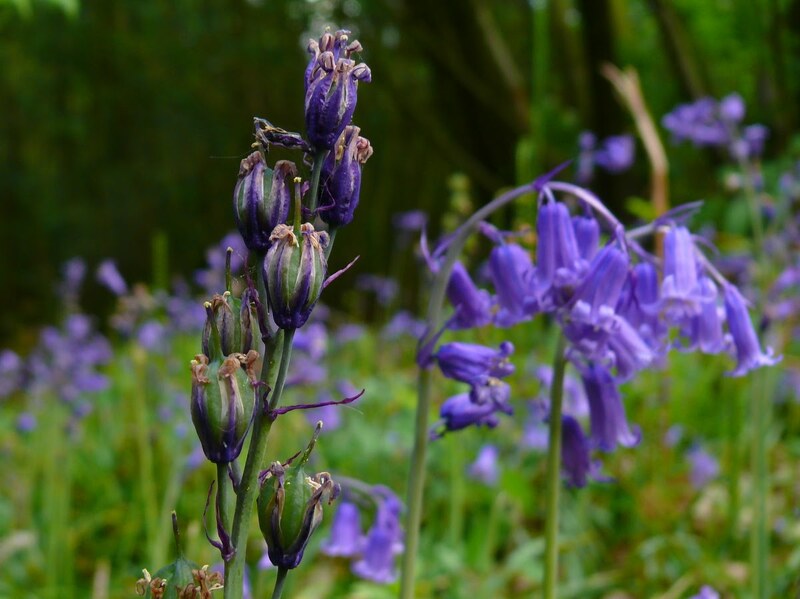 As the flowers age the stem becomes more upright and it is common to see native Bluebells without the droop and less one directional. 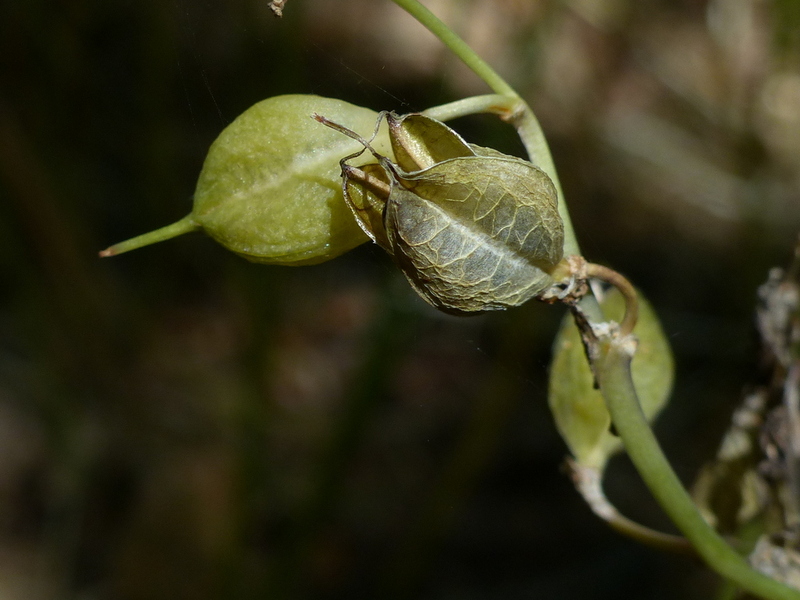 By the time the seed pods have developed the flower stem is completely upright. Another good way to tell the species apart is colour. 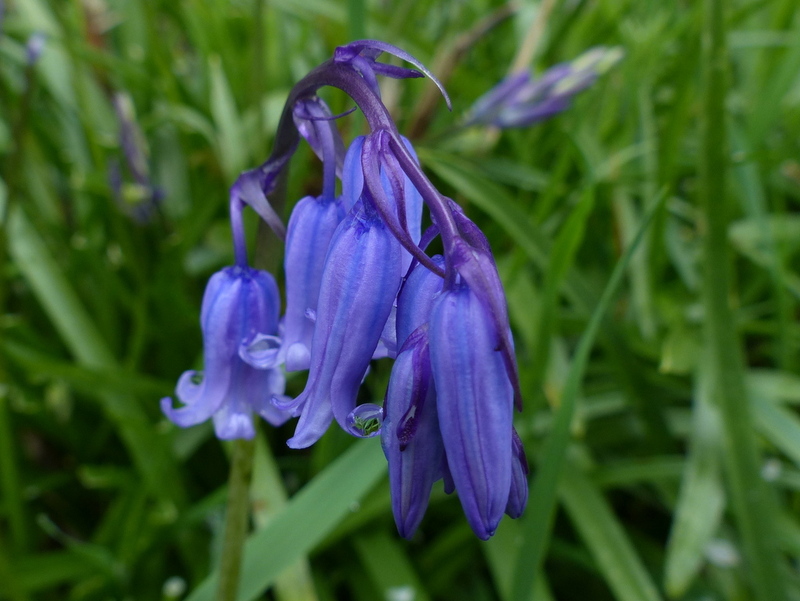 Whilst the Spanish flowers introduced into our gardens come in a variety of colours from pink to deep blue the Native Bluebell is always blue. Except when it is white. 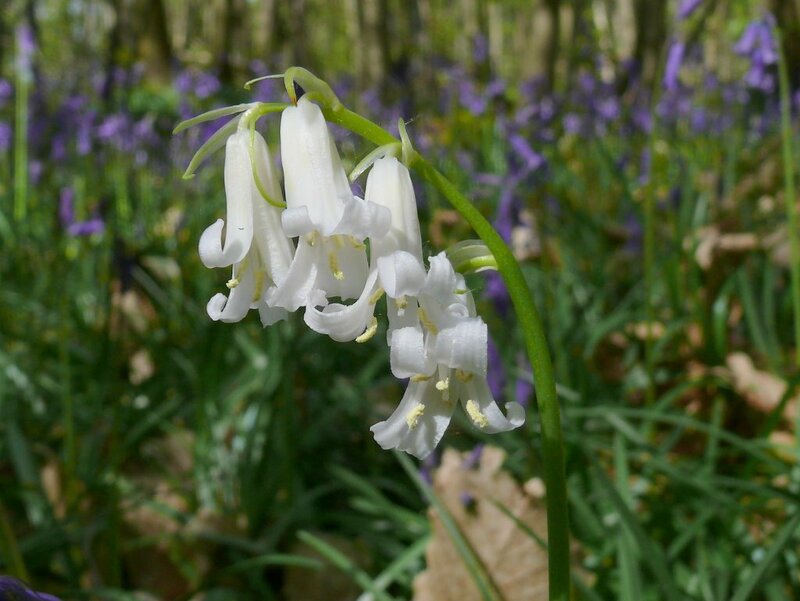 I have read a bit about how rare and unusual it is to find white Bluebells and I can only say that has not been my experience. 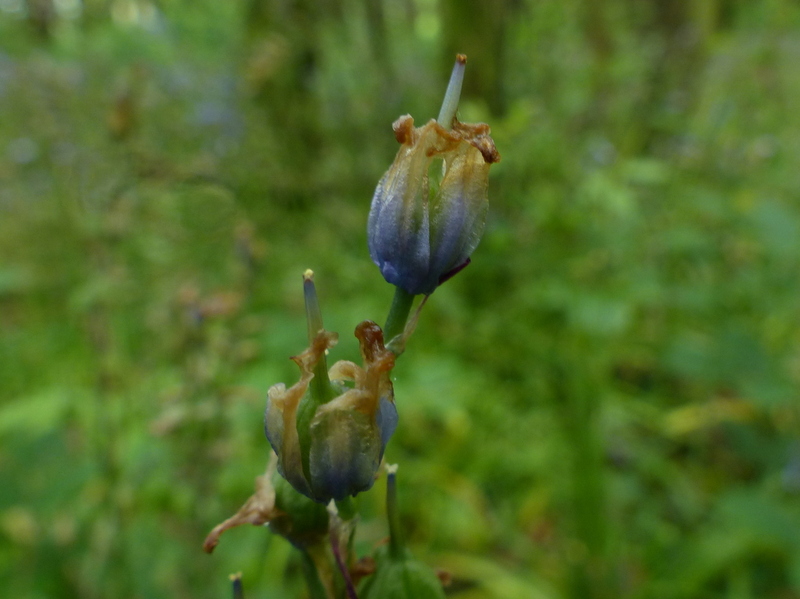 I have regularly found them in woods all around Southern England and I can usually expect to find more than one in a given wood. They are not that uncommon and they stand out, they are also quite beautiful. 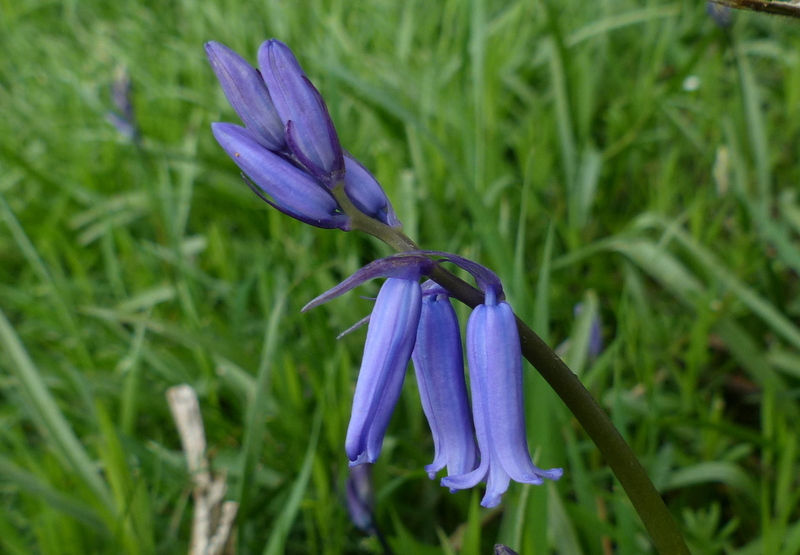 Hyacinthoides non-scripta is considered to be an indicator species of ancient woodland although locally they seem to grow in every hedgerow and field. 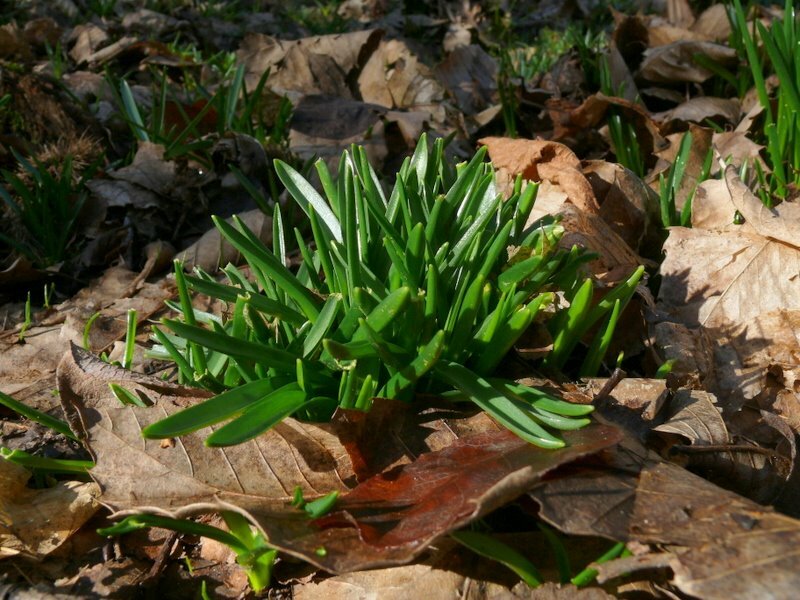 They can increase by bulb division, they produce small offset bulbs from the main one but they spread very slowly and it may take decades for them to advance a few yards. They also grow from seed but again that is a slow process, it takes about five years for the seed to produce a flower. 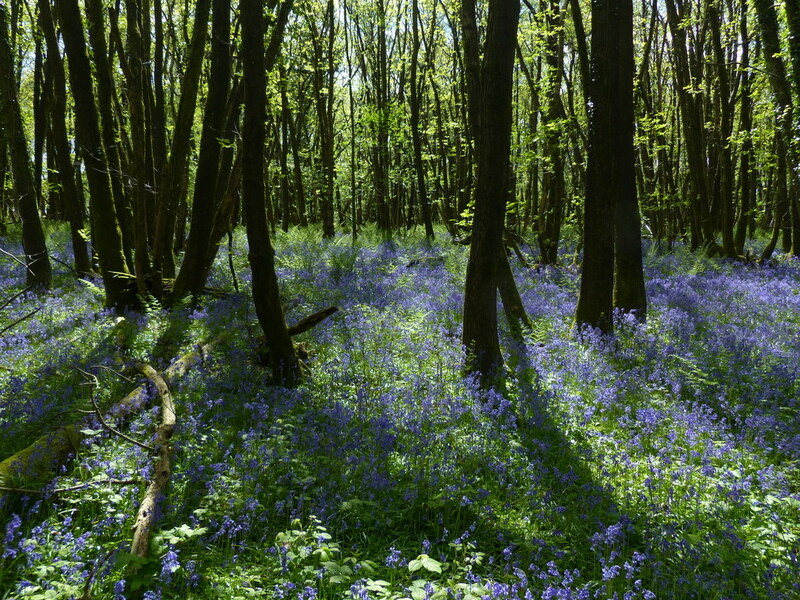 The seed heads appear in late May when the flowers are spent and will remain in the woods for months. 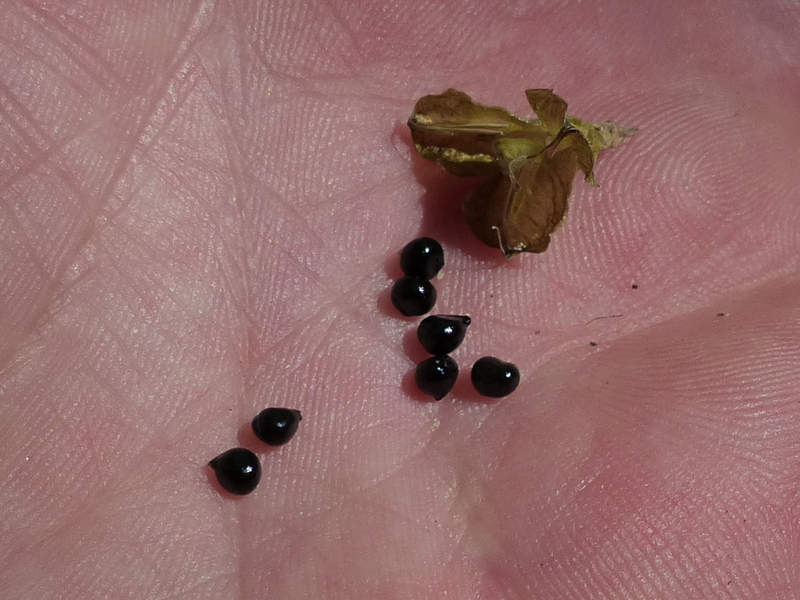 At first green they dry out to a papery brown shell before discarding their seeds.